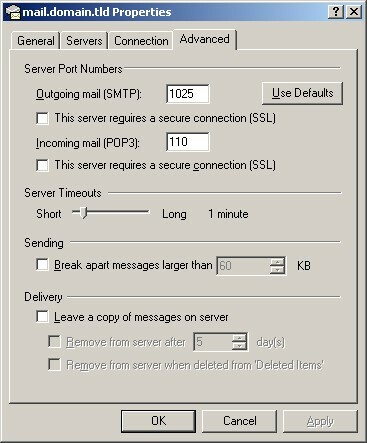 At this point, Outlook 2000 will open to the setup wizard to help you setup your email account. 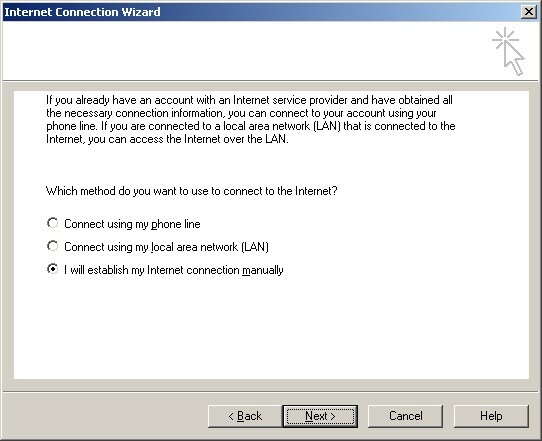 Put a dot in 'I will establish my Internet connection manually'. 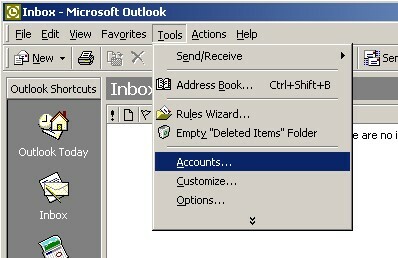 At this time, Outlook will build the Outlook Toolbar, and then open up your Inbox. 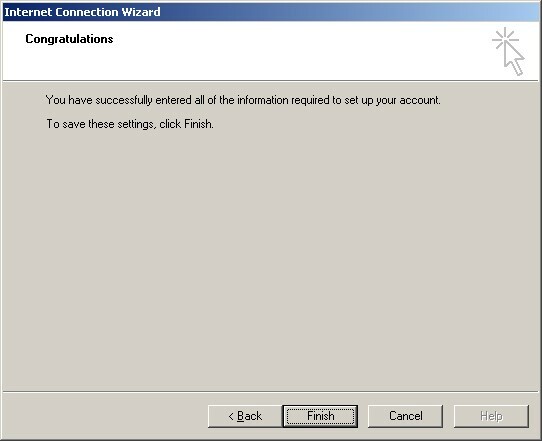 Go to the 'Tools' menu, click 'Accounts...'. 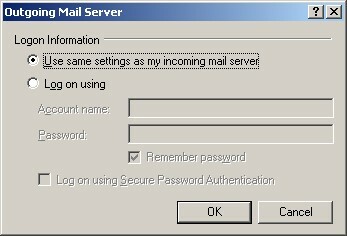 Click on the 'Mail' tab at the top. You should see your new account listed here. Select it and click 'Properties'.